This turned out to be our largest PhotoPlus Show coverage in the many years we have covered PhotoPlus New York. With such a popular show for all of us that are photographers both beginners and pros, this is the one show that we have an opportunity to actually see new products, touch them, talk to the experts about their products and use and of course watch and listen to all the demonstrations, instructional seminars and product demonstrations. So how do we determine who to see at these shows? Well it isn’t easy and we do have favorites. The companies that we know and trust, who deliver exceptional products are on the top of the list. Then we look for companies that are on the cutting edge of the market with new products we know we would like to own yourselves and that our members at IPA and our thousands of readers would also like to own. For the past 5 years, I have been making a major transition from writing and demonstrating how-to shoot better photos as well as writing about the equipment you might need to do it right. I realized that the money was no longer in photography alone, it was in videography too. With social media being so important today and YouTube being one of the driving forces behind this movement, I began to shoot more video with my DSLR camera. With the help of some support from photo equipment companies I was able to learn and recommend products I actually used myself in the field. I now have over 200 videos on YouTube both personal and business and they have a combined view of just under two million views. I generate a paycheck each month from Google Ads for the views on my videos and like an annuity, it will continue. You can make money shooting video and as long as the videos continue to get views, you continue to make money. It is important however to have the right equipment and that is why I cover the PhotoPlus Show and continue to upgrade equipment and Learn By Doing, the IPA mantra. As president of the International Press Assoc. it is my job to help our members so they can earn a living in the one thing we all have in common our love for photography. So covering a show like PhotoPlus was the best way for me to get the experience with this new equipment and actually show our members and followers what they should use to obtain the same results. With that in mind, Andy Peeke our great IPA correspondent and I contacted some of our favorite companies to set up appointments to see some of their latest gear and shoot our interviews with the best equipment in the market. At the end of this article and our video you will see a list of the gear I used for these videos. My wish list this year from the equipment we saw and covered in this piece is the new Tamron SP35mm and their 45mm F/1.8 Prime Lens’s which I actually used to shoot their segment. I was do impressed, that I ordered the 35mm F1.8 prime lens which is now on its way to me for use in my next assignment, shooting the new Anthem of the Seas this coming week. Tamron is the leading lens manufacturer. They only manufacture lenses, unlike so many other companies. So they do it right. It is hard for me to keep up with the many new lenses they have been introducing these past years. I now have 4 of them and give my older Tamron lenses to my sons. I can’t wait to get my hands on the new prime lens, as you can see in this video at the Tamron exhibit, it is sharp and I was shooting at f2.2 so the background is well light as well as the subjects. You can compare the difference from this video interview to the others which I shot with my compact Tamron 16-300mm F3.5/6.3 Zoom at f8. Great lens, great company. Of course we had to visit Nikon this year as we do each year because we want to keep current on what’s new from Nikon. No new cameras but a recent release of the Nikon D5500 for those that want to get pro results without the pro gear. So many features on this camera and now you can send your photos via Wi-Fi to just about anywhere including your iPhone or Facebook. I will let the interview with Steve Heiner Nikon spokesman tell you more about its amazing new features and you can see some examples of amazing photos you can take now with their new touch screen. If you are a Nikon photographer and shoot nature, sports of just need a long zoom lens, you will see their new AF-S NIKKOR 200-500mm f/5.6E ED VR…and for a lens like this you won’t get sticker shock either. Now most of my readers already know I am a Nikon guy and shoot a Nikon D7200 for my stills and video photography. You can see how crisp and sharp the images are in my videos and how great the sound quality. Although you can record sound on the Nikon and Canon cameras, you don’t have the control and the quality of that sound in these cameras. 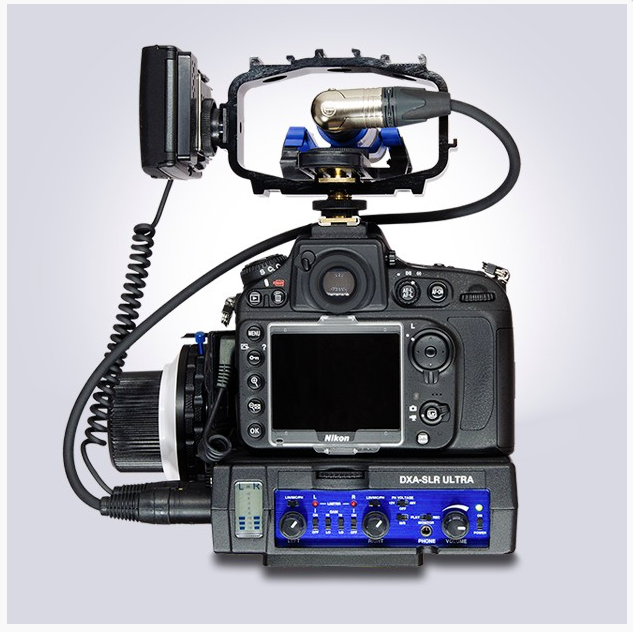 So I use the Beachteck DXA-SLR Ultra Audio Adapter that enables me to use pro RODE mics ( I use their Reporter mic) and then feed the corrected and amplified sound into the camera. I am able to monitor the levels both through the cameras display as well as the Beachtek unit. I trust the Beachtek more than I would the Nikons for these critical assignments. Now I mention them in this article even though they weren’t at the show because I wanted you to know how I achieve the great audio and video that you see in this article. Of course on my wish list is the new Manfrotto Digital Director. What a great way to do a video shoot with my Nikon D7200 camera. Imagine controlling the camera from my iPad, so very cool. Digital Director is the only Apple certified (MFi – Made for iPad Certification) electronic device that connects your camera and iPad to help manage the photo and video workflow, from setting your camera to sharing your pictures. It works with Canon and Nikon DSLRs and iPad Air and Air 2. Watch Andy in our video learn how to use it in only a few minutes. You will want one too, for sure. I never stop looking for better lighting solutions. I have tried many and I like the new Manfrotto Lycos LED lighting solution for its compact size, its Sony video battery option and the handle that makes it easy for an assistant to put the light where I want it. Will be available in November, so check these very cool lights out. They claim these small-sized lights offer half the light output as a full 1X1 studio light…that’s awesome. 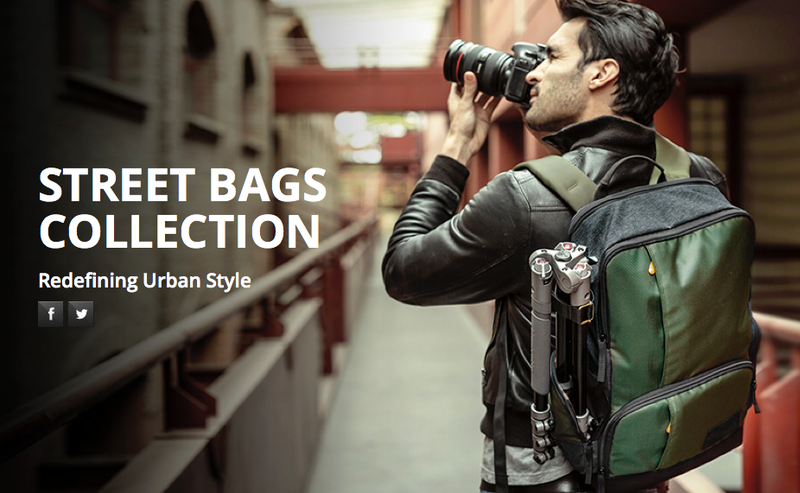 Manfrotto has become a leading photo and video bag producer as well. Not only do they offer a bag for the professional photographers and videographer’s but for just about every skill level from beginner to pro. At the show we were introduced to their new hot Street Collection of bags that looked very cool indeed. Great looking, added protection, what can I say, check out the video and their website for more information. 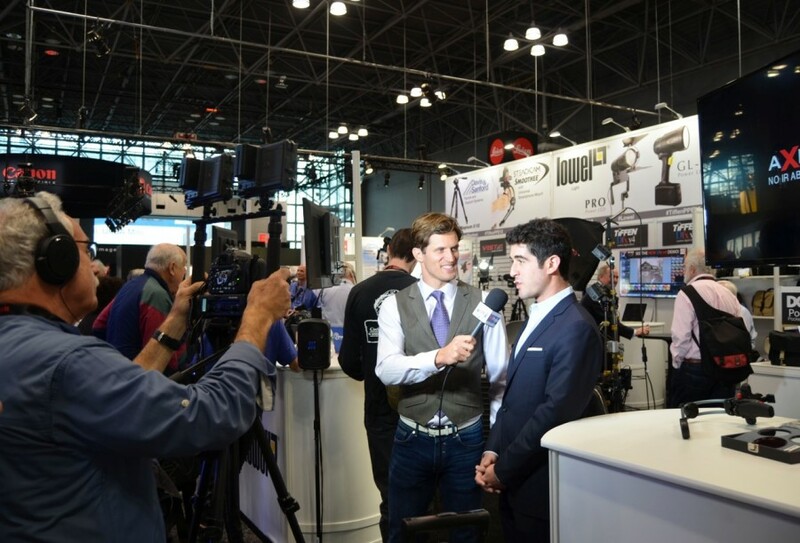 Gitzo is part of the Vitec Group of companies that included Manfrotto. 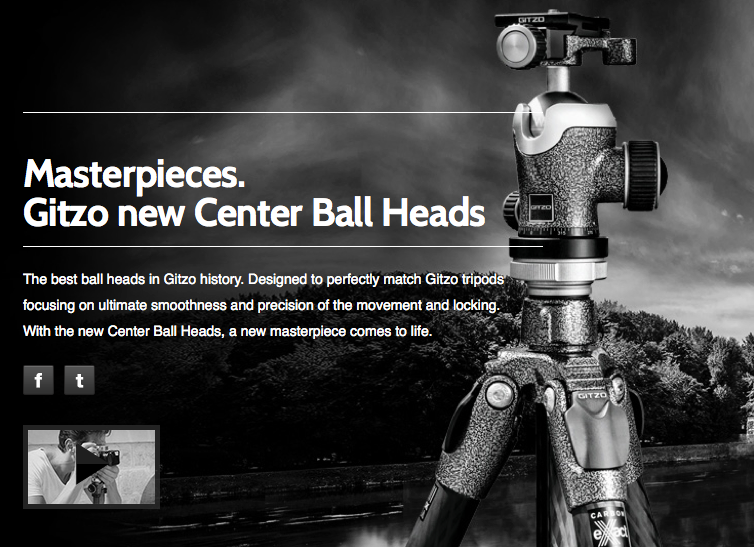 Manfrotto distributes the Gitzo line of tripods as well. They are light weight, strong and beautiful. They come in all sizes and heights and now sport their newest ball heads like the GH1382TQD. The new heads have a Tungsten disulphide (WS2) coating that is one of the smoothest materials known to science. This allows the head to move smoothly without the jerk we all experience with our other ball tripod heads. Of course I love the Lowel GL-1 that looks like a power tool and when it comes to portable LED lighting it is. Battery powered, power output adjustment with a trigger and zoom lens that enables those of us that want to try our hand at Light Painting a better way to do it then trying to use a flashlight. Of course we also like Lowel’s Power Pro LED lights for our portable or in studio lighting, it has the power and all the accessories we need to get the job done and their lights with their battery packs mean you can take them anywhere. Now shooting great video and photos requires a steady hand, a good tripod or what the pros use a Steadicam. Steadicam now a Tiffen company was showing their hottest new item for the professional, street and serious amateur photographer who is now producing stunning videos with their smart phones. Used in a leading Apple commercial their new Steadicam Smoothee will make even the most amateur videographers look and feel like a pro. Andrew Tiffen, Tiffen Filters Director of marketing discusses and show Andy how to adjust one and use it for very steady shots. Another piece of gear on my must have list. We had an opportunity to meet Steven Tiffen, Andrew Tiffen’s father. Tiffen is a 3rd generation company and it was a pleasure meeting the family and working with Andrew. Of course we haven’t forgotten photographers completely in our list of must have gear. Do you shoot long exposure images like many of us? Or are you one of those photographers that simply can’t get it right trying to get those soft waterfalls, dreamy clouds or other beautiful shots that long exposures can create? Well Tiffen came up with a series of new filters meant to cut the UV lighting and enable those long exposures and do them right. 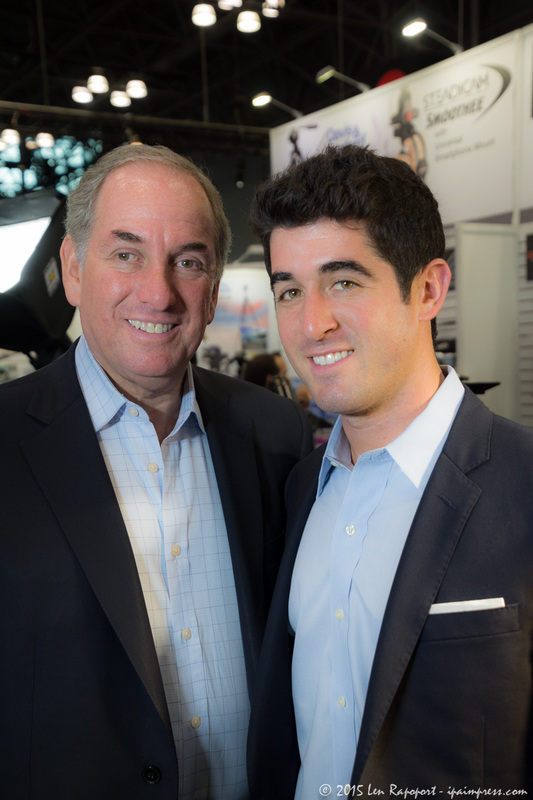 Check out our interview with Michael Cassara, Tiffen’s marketing manager of their optics. Their new XLE series of Extreme Long Exposure filters. In our video you will see that the Academy Award winning Advantix IRND Tiffen technology makes this photographic challenge as easy as setting up a tripod and a camera and taking the photos you always wanted to get. I know you have enjoyed many stunning areal or action videos that you have only seen in the movies or in the thousands of videos now on YouTube or Vimeo, but if you are like me and never played with a toy radio controlled anything you may have been concerned at what you thought was a steep learning curve….but wait, you no longer have to be concerned. In our interview with Nicolia Wiles of ProDrone you will see that his company has come out with the first really portable and powerful drone that can be easily programmed to follow your flight plan or even follow you and come back to you when done with its assignment. Complete portability. Arms, Propellers and landing gear collapse. 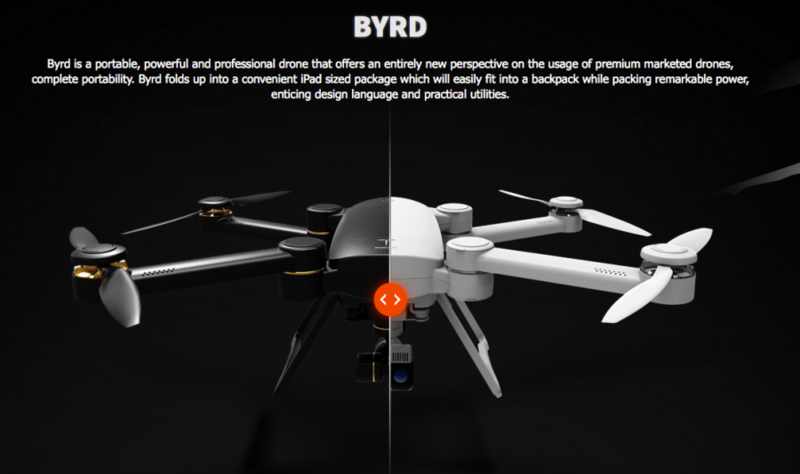 The best part of this “Byrd” is the price…Under $1,000 with the camera. Watch the video interview for other exciting features of the new ProDrone Byrd.